Even though I loathe getting a year older I completely LOVE birthdays! I love surprises. My sweet, sweet husband got this idea in his head to do 12 days of birthday instead of 12 days of Christmas. Since Christmas gets so overwhelming and it's just not my favorite holiday because of the stress and the cold weather, I welcomed the birthday surprises! This is the second year he's done it and it's more like 6 days before birthday this year because we're only on one income. The gifts are practical and small. Like this year I've gotten some small kitchen gadgets that have been on my amazon wishlist for a while. A lemon zester and a julianne peeler. It's a fun little way to celebrate! I know, I know. I'm spoiled. I really am. But I try when his birthday rolls around to really to think of something that he wants. 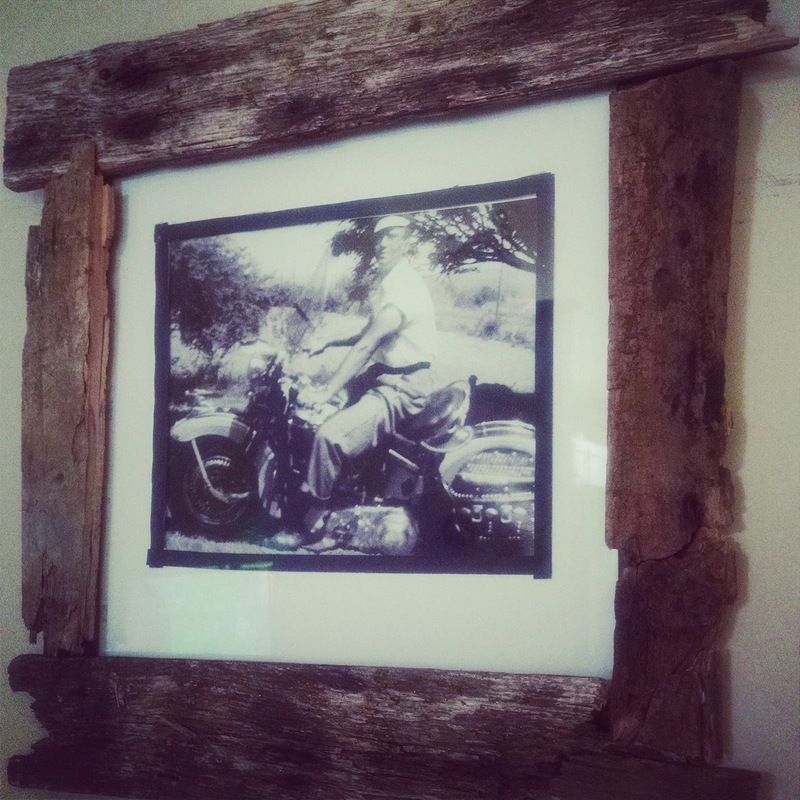 This year I made a rustic frame for an old picture of his grandfather that had been sitting in his to do pile forever. It's always more fun to give anyway! Onto the fashion part of this post! I wore this little number out to dinner and a show about two weekends ago. It's taken forever for me to post and I can't for the life of me figure out why. I love pastels and especially creams and peaches. These are some of my most favorite sandals ever. Unfortunately, I can't wear them again because I've basically worn them out. They fell apart this night and I just don't think I can fix them. So I am on the hunt for a replacement. I'm over at AshevilleBlog today walking in the rain and talking about some fashion tricks that can make you look taller! Check it out! This summer was the first time we've been able to be a part of a CSA (Community Supported Agriculture) or crop share for short. I was so excited and I fell in love with it! We used Flying Cloud Farm in Fairview NC and it was perfection! We've had to scale back financially until we can get our old condo sold so we had to put it on the back burner but I'm hoping next year we will be able to get back into it. 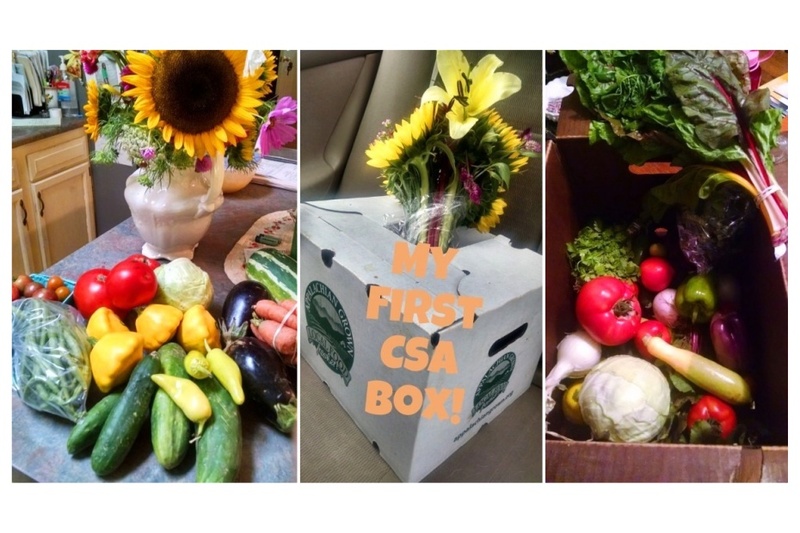 There were two options for this CSA. You could pick up your box at the tailgate market or you could go to the farm itself and bag the produce you wanted. I did both. I liked getting the box better. It was a great variety and it was a generous amount of everything. It took the decision work out of it for me and I love that. I hate making decisions! On the other hand, when you go to the farm you get to pick your own flowers. That in itself was a great adventure and it made for some really sweet memories for my son and me. He chased butterflies while I swooned over pretty flowers. Here's the little self service product stand that couldn't get more adorable even if it tried. They also had the cutest little watermelons and cantaloupes - that actually were not that sweet and that makes me wonder why the ones from the store are so overly sweet...hmmm....modified??? Look at how few of those blackberries are left! If you didn't get there early those guys would for sure be gone. Oh they were so good. I've got some in the freezer for when I need a boost of summer when it is gray and cold. Let's don't talk about winter. Let's look at the flowers instead!!! My little bucket after lots of picking. Bringing these bouquets home was such a mood booster. I loved having these guys in my house! Let's enjoy the last tidbits of summer shall we! I have been on the lookout for a pair of fancy, loose fitting, elastic waist trousers for like, well, a long time. I refused to pay high prices and my patience paid off. I use my local consignment shops as ways to recycle my own fashion closet and make some moolah to buy more! On this particular day I was turning in some clothes to sell and noticed these guys on the rack. I think they were $7.00 and then I had some credit on my account. It was such a win-win. I've worn them once already but didn't get an outfit photo that day. They are so comfy! These are the pants I tried wearing with my new crop top but HELLO belly button! I was like oh my. No thank you. Instead of following Coco Chanel's rule of "take one thing off before you leave the house" I needed to add more! Ha! At this point in my life I don't think my belly button needs to be out and about with me while running errands! "Over 200 million Americans consume food products made of wheat every day. As a result, over 100 million experience some form of adverse health effect, ranging from minor rashes to high blood sugar to unattractive stomach bulges preventative cardiologist William Davis calls "wheat bellies." According to Davis, that excess fat has nothing to do with gluttony, sloth, or too much butter: it’s due to the whole grain wraps we eat for lunch." I do not have any health concerns but I was really intrigued with the idea that my belly was bulging because of what I was eating, not necessarily the amount of calories. I had heard about the Paleo Diet as well and the hubs and I thought it was time to give it a try. He had been doing Atkins for the second time in his life but was not having much success this second go around. I never did Atkins and never will. Yet again, like with the Whole30, it's just too restrictive for me. But I may give Whole30 a try....someday. ANYHOO that brings me to this recipe! Eating a Paleo diet has been challenging. Why? Because there are no processed foods. I can't grab a bowl of granola for breakfast. I can't eat a cup of yogurt. You have to plan ahead. You have to cook. You have to combine, mix, bake and freeze things for later use. Think of yourself as a Pioneer lady...just without the cow you have to milk, the lard you have to render or the 9 million other things they had to do along with making EVERYTHING from scratch. I try to remind myself that even though I am spending a TON more time in the kitchen I still have lots of luxuries that make things go quicker. Kitchen gadgets are now important to me. My freezer and fridge space is important now. The cabinet that used to hold boxes of crackers, rice cakes and sugary 100 calorie snacks...not so much. These breakfast cookies are wonderful. They taste more like a muffin than a cookie. They do not have a cookie crunch or texture. I guess you could call them more of a muffin top. I had some fruit on the side and that really brought out the flavors in the "cookie". The recipe does call for baking soda which is technically not good to go for Paleo. I have some arrowroot powder that is a good substitution for baking powder. The more I transition the better I will be at using those substitutions. I think I will be able to do it next time I make these. I took the recipe directly from here. For my mix-in's I used organic shredded coconut. I am NOT a coconut fan really. But I am getting used to it. Plus the organic shredded coconut I get is really finely shredded and doesn't have that much coconut flavor. I think the coconut I grew up hating was never really truly fresh, raw, coconut. It was the nasty artifical flavored stuff that was way to overpowering and looked like paper shreds. Even if you're not doing Paleo, these are healthy, easy to make and easy save in the fridge for fast snacking. I love that there is no added sugar. Just the natural sweetness from the banana. It took me a few different tries to find out what I felt comfortable pairing with this crop top. I haven't worn a crop top since I was a teenager! And....that was a long time ago. First I tried some black loose trousers but my belly button was showing and I just could NOT do it. Then I tried some huge hippie jeans and it just didn't feel quite right either. I think it could've looked great IF they were a bit more high waisted. When I pulled out this wrap skirt it was perfect. I could bring the waist up to where it was nice and snug but still a little skin could peek through. I picked up this Old Navy black silky type dress at the Goodwill a few months ago. I've not been able to wear it yet but when I was contacted by Navabi to come up with two ways to wear a little black dress I was ready to drag this thing out of the depths of my closet and give it some sprucing up. First up is how to wear it at the office. I paired the dress with a light colored blazer, a coordinating belt and low heels. They are open toed and some offices aren't really down for that. In that case, just wear a basic black heel. Or flats if you are like me and need comfort for lots of walking. I kept my jewelry simple and not fussy with smaller stud earrings and a coordinating watch. I pulled my hair back into a sleek ponytail but it's certainly acceptable to wear it down. The belt ties it all together and gives a waist line. The heels have tan stitching (hard to see in the photo) but it helps to tie in the blazer to the heels. For going out on the town with the girls or your sweetheart, I chose to use gold accents to take this LBD to the next level! I removed the belt and added a long necklace instead. I went for larger earrings and a single bracelet. I paired it all with metallic slingback heels and a snakeskin clutch. 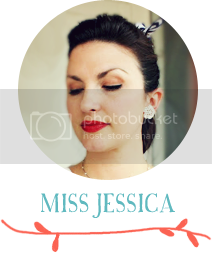 For my hair, I grabbed a couple of bobby pins and did a really fast french twist. 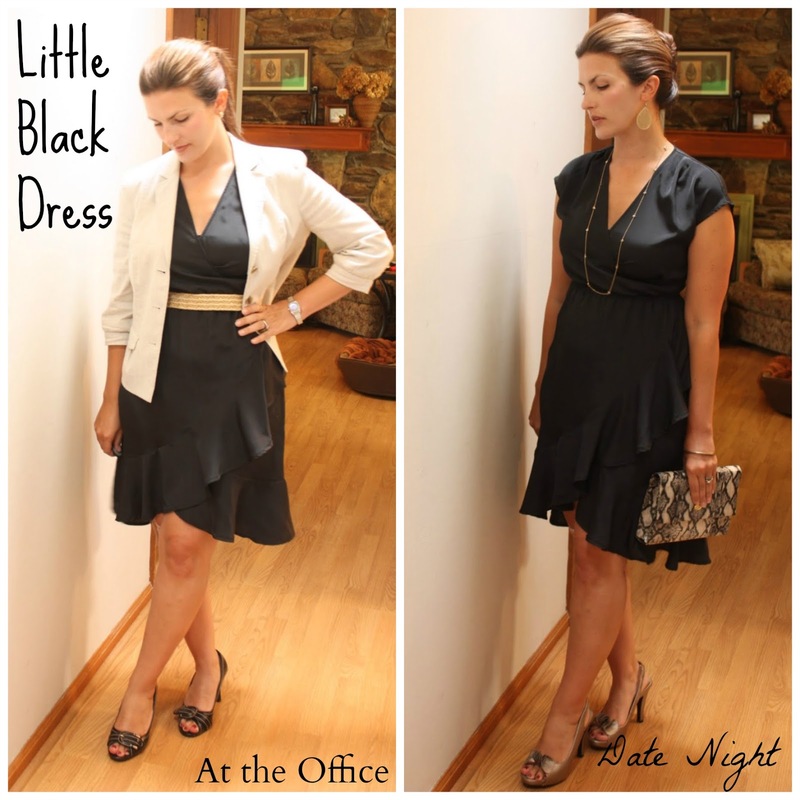 Leave a comment with a link to how you wear your little black dress! I would love to see how you style it up! Well hello there kind readers. I've got a DIY for you today! How to take a regular mirror and make it rustic. This diy takes a little bit more work and probably the help of a partner. Your partner will need to help with mounting it to the wall for sure. 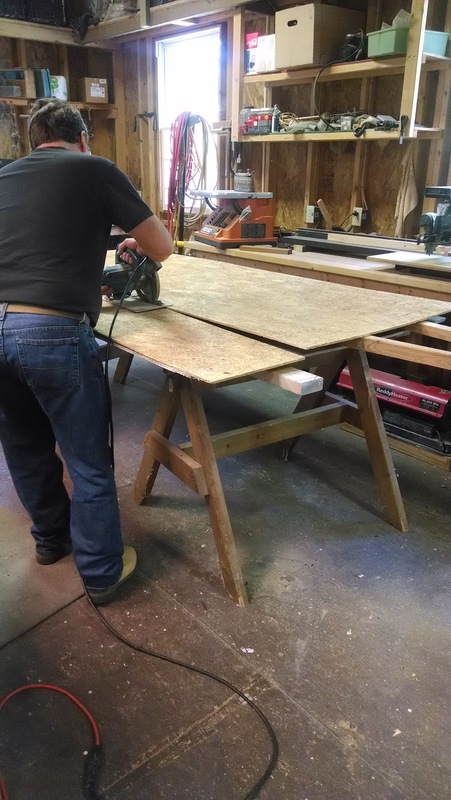 You will need power tools like a table saw and a circular saw. My dad happens to have a wood shop so I sought out his help for space and tools. You may have those tools on hand or you may have a buddy that can help you. I do also show you the picture frame at the bottom of the post that I did by myself with only using a handsaw for cutting. That is definitely a solo project. I started with a discarded mirror. Why was it discarded you ask? Had it been rude? Had it made fun of me? Nothing of the sorts. Actually, we replaced it with a newer, prettier model. So it was was far more shallow reasons than hurt feelings. It was time to make this old mirror into something new. Give it new life! I was driving past a Feed & Seed close to home and saw a FREE sign near their old pallet wood. 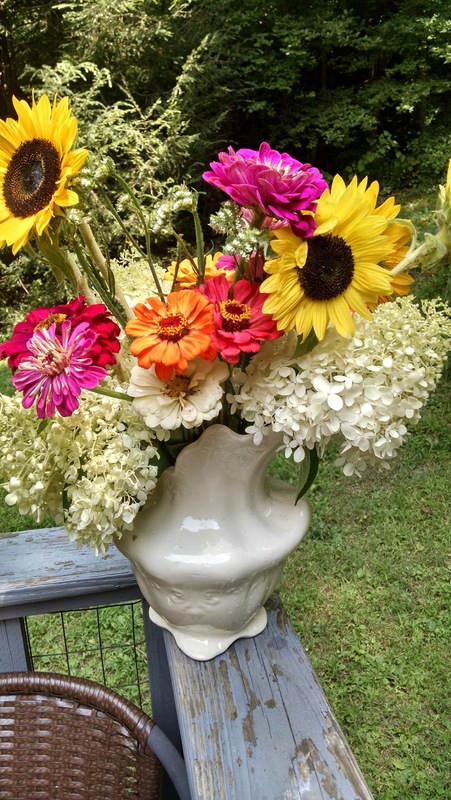 I stopped and scrounged around gathering pieces I thought would work well. I knew I wanted to make a frame for the mirror so I tried to get long, wide pieces. When I had all the wood and I was looking at the mirror I though... now how am I going to do this? Glue it to the mirror? I asked my dad for advice and with his trusty carpenter skills he says, "let's build a frame to go around the mirror that will just hang on the wall around it" PERFECT! The wood I found on the side of the road. Classy. Reeeeal classy. 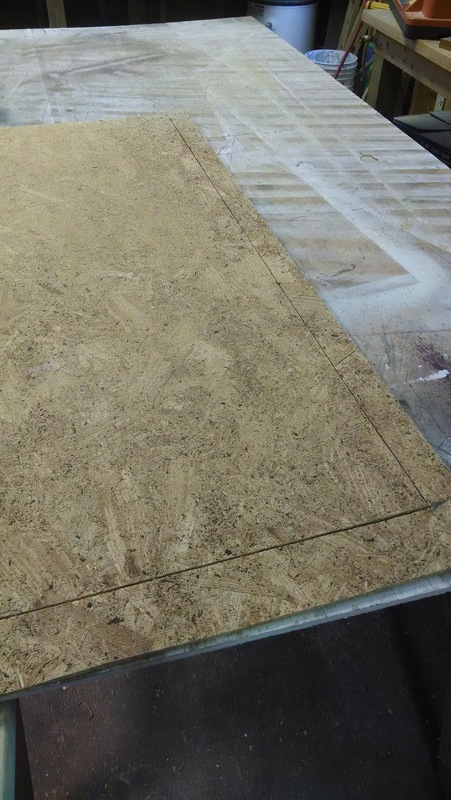 We got a piece of plywood and measured out a rough frame. 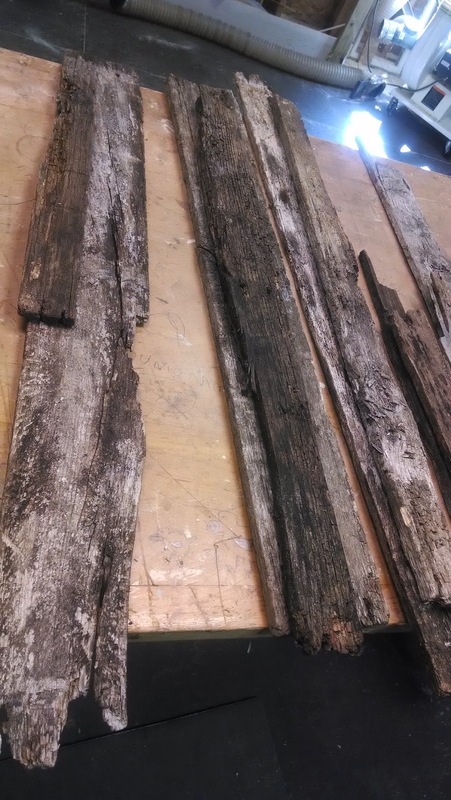 The finish doesn't matter because you'll be covering this up with the pallet wood. Test it and make sure it fits around your mirror. It doesn't have to be a snug fit. The pallet wood is wider than the frame so there will be an overhang. Go ahead and map out what piece of wood you want where. 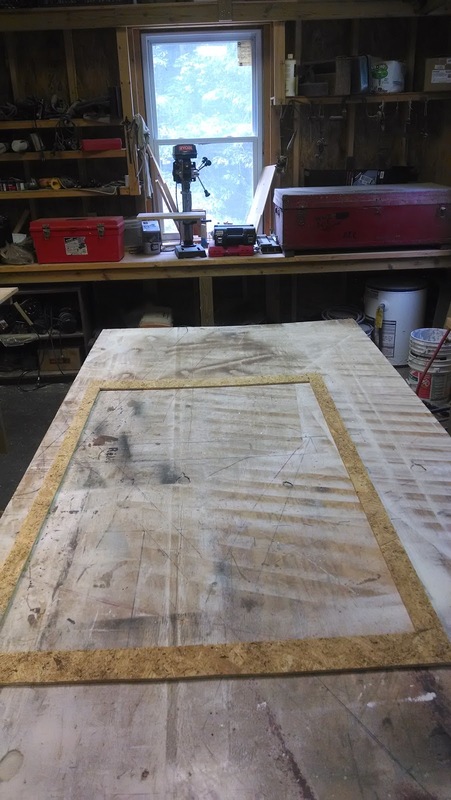 This is also where you might need to make a few cuts with the table saw to make sure your 4 pieces fit somewhat flush. This is a rustic mirror. No snug fits here! 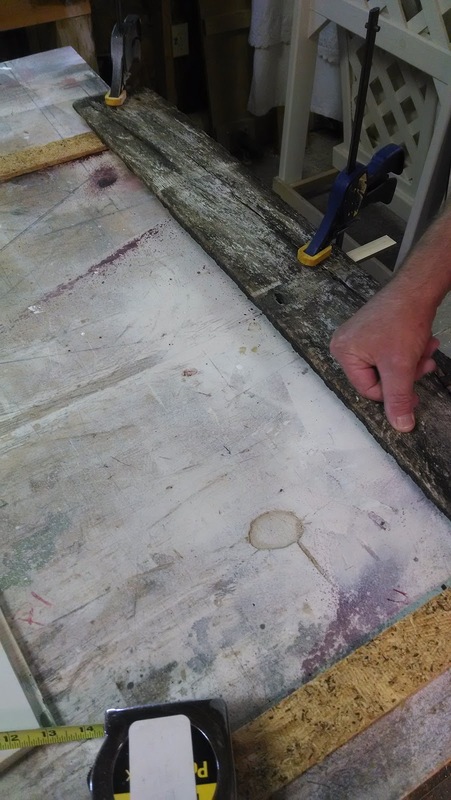 We used liquid nail and glued the pallet wood directly to the board. 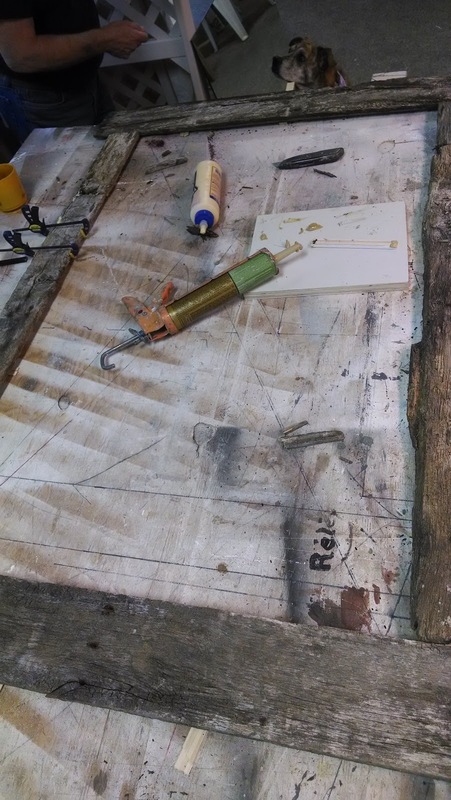 Use clamps to get the pallet wood to stick. We let this sit for about 2 days. 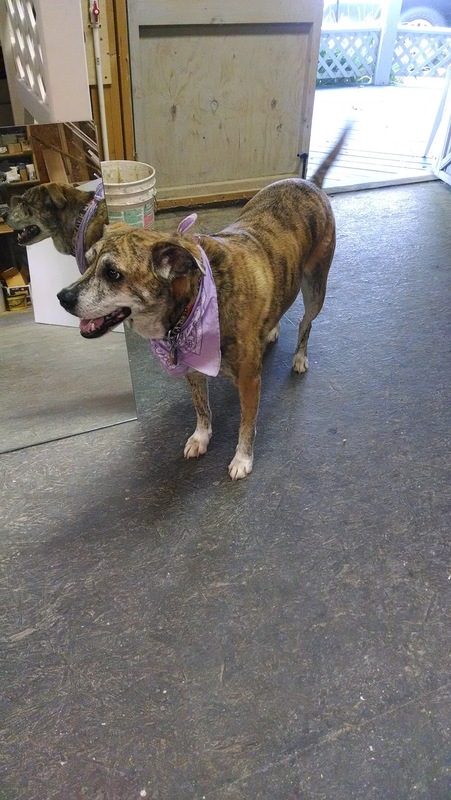 Ask the shop dog if it passes inspection! 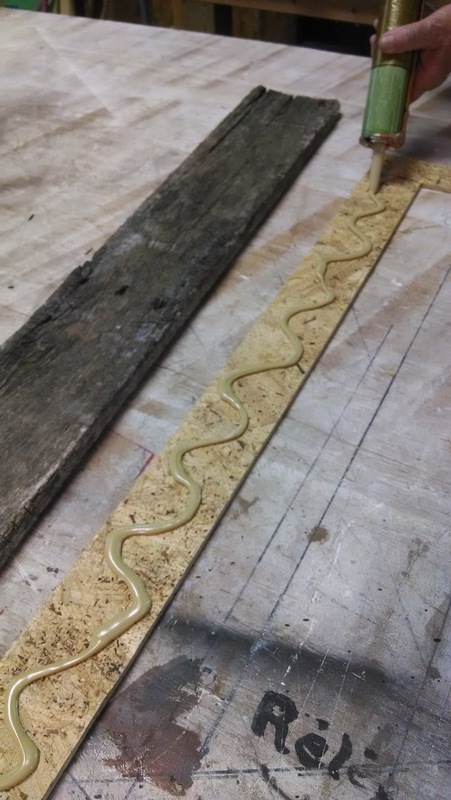 After it dries and the pallet wood is pretty firmly glued you are ready to mount it to the wall over your mirror. This frame was pretty large so it I definitely needed help getting it nailed to the wall. It isn't heavy it's just awkward. If you've got a smaller mirror and frame then you can do it yourself. I had a blank wall in the bedroom where I wanted it to go. We used mirror clips to hang the mirror. I found these at the hardware store near bathroom mirrors. 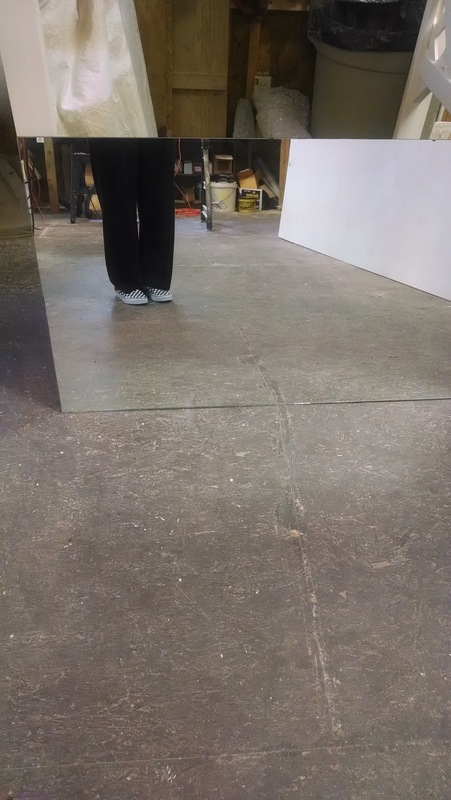 We measured a BUNCH and drew all over the walls. I can never take this down basically. Unless we plan on using the wall as a dartboard. Mirror is up. Next step - frame. We screwed the frame directly into the wall. Yep. Never coming down. Also - see the bottom right part of the mirror? That happened during dragging the mirror all over creation. It broke. I was determined to still recycling this mirror so I just resolved myself to work with it. I could not have done this without the help of my dad and my husband. Especially with my bum wrist at the time. It was hard to grip the mirror for carrying. I wore leather gloves so I could keep a better grip on it. I did have scraps left over that I glued to a picture frame. I used a hand saw to trim the pieces down to fit. In one corner I just used a bunch of little pieces. With it being rustic you don't have to make it perfect.